This little broken angel is part of a roadside memorial that brought tears to my eyes when I came upon it. It is decorated with beads and plastic flowers and the area is strewn with the rubble of decaying remembrance of things past. It seems to embody the dashed hopes and dreams of loved ones tragically lost. 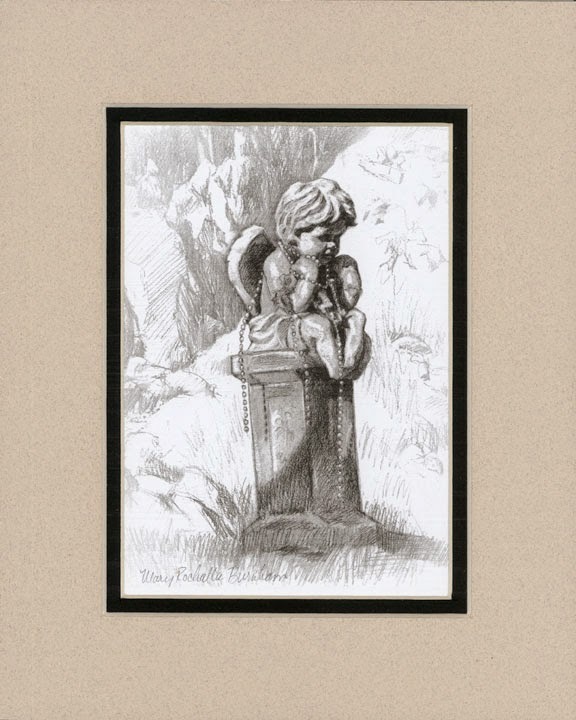 The original pencil study has been sold.